The mild, spicy Appenzeller® Mildly spicy is treated with the secret herbal brine for at least three months and is one of the most famous Swiss cheese specialities. 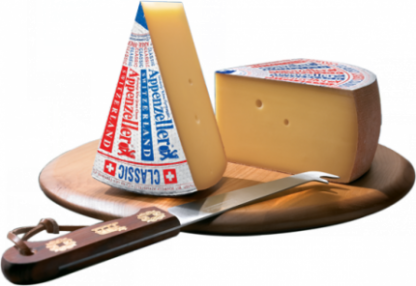 The idyllic Appenzeller hilly landscape with its rich herbal grass creates the optimal environment for the natural, strong raw milk used to make Appenzeller® cheese. 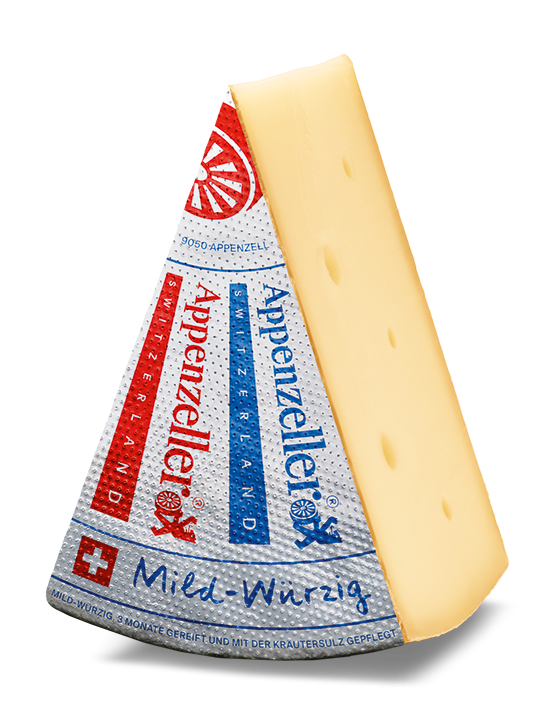 The Appenzeller® Mildly spicy can be recognised by its silver label. 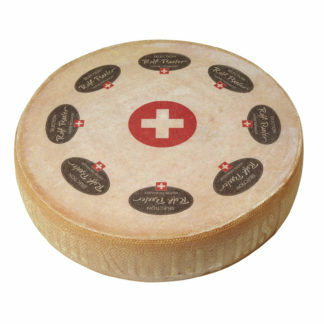 Freshness of your cheese is important to us. 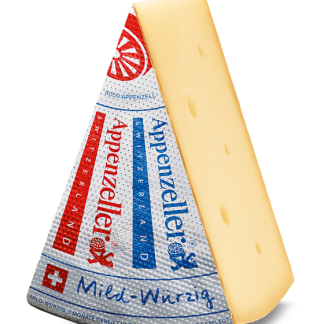 That's why - unless noted differently in the description - we package all of our cheese in vacuum bags to help minimize travel impacts. However, we understand that some of you prefer cheese being wrapped in cheese wrap. This option is available to you for a small fee (it takes more time to package the cheese this way, that's why we charge you a little bit more). Unless specifically noted in the description, all cheese will generally have a best before date of at least 14 days, vacuum packed cheese generally about 2 months. 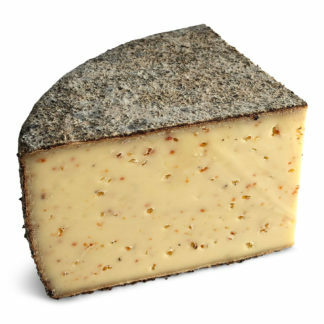 Please note that with cheese this is often only a guidance date and does not necessarily mean the cheese will be of lesser quality beyond that date. 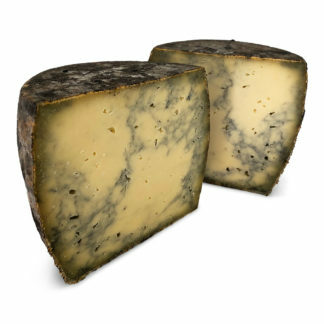 In fact many soft(er) cheeses are best kept close to or until after that date for maximum ripeness.